God is generous, and he rewards those who help his servants as generously as he rewards his servants themselves. That is the message of the Readings for this 13th Sunday of Ordinary Time. We begin with an account from 2 Kings concerning the reward of a wife of the town of Shunem, who was consistently gracious to the prophet Elisha. In the Gospel Reading, Jesus proclaims a blessing on all those who give succor, refuge, and assistance to those he sends out to proclaim the Good News. This Sunday’s Readings complement last Sunday’s, which emphasized the violent reaction that the proclamation of the Gospel often receives. This Sunday, on the other hand, we are reminded that not everyone opposes the Good News, and those who assist in its spread will be rewarded along with the messengers themselves. where there was a woman of influence, who urged him to dine with her. Afterward, whenever he passed by, he used to stop there to dine. So she said to her husband, "I know that Elisha is a holy man of God. so that when he comes to us he can stay there." Later Elisha asked, "Can something be done for her?" His servant Gehazi answered, “Yes! you will be fondling a baby son." The Books of Kings were originally one book, a sequel to Samuel detailing the history of David’s successors until the collapse of his kingdom at the hand of the Babylonians. According to the report of Origen, the Jews in antiquity called this book by its first two words, wehamelech dawid (“Now King David …”; cf. 1 Kings 1:1). Septuagint translators split the book in two to make it more manageable, and called the resulting volumes “3rd and 4th Kingdoms (basileiōn)” (“1st-2nd Kingdoms” = 1-2 Samuel). The point of division they chose—part way through the reign of Ahaziah (cf. 1 Kings 22:51-53; 2 Kings 1:1-18)—is not a major literary break in the narrative. Nonetheless, in modern Judaism the work is broken at the same point into two volumes, melachim a and melachim b (“Kings 1” and “Kings 2”). There is a very strong prophetic theme in Kings that becomes dominant in the center of the book, during the ministries of Elisha under Ahab and Elisha under Jehoram, when the prophets take center stage from the kings during the heyday of the northern kingdom. Indeed, the literary crux of the work is the ascension of Elijah and the succession of Elisha (2 Kings 2), which reminds the reader than God has other officers and ways of working with his people besides the kings and their royal administration. Elijah and Elisha are by far not the only prophets note in the narrative: Nathan, Ahijah, Isaiah, Micaiah ben Imlah, Huldah the prophetess, and numerous unnamed prophets also make key interventions in the history of God’s people (see table). The unexpected and gratuitous rise of these prophets “like Moses” (Deut 18:15) is another cause for hope in the otherwise dismal history: perhaps God may yet send another prophet like Moses, to lead his people of the Assyrian and Babylonian exiles. During most of Elisha’s career, the king Jehoram is ruling the northern Kingdom of Israel. Jehoram is better than his father Ahab, inasmuch as he did not worship Ba’al, but he continued the schismatic idolatrous cult of the LORD established by Rehoboam. During his reign, Elisha performed a stunning series of miracles, prophesying an unlikely victory over Moab (3:4-27), providing a supernatural abundance of oil for a poor widow (4:1-7), granting conception to an elderly Shunammite couple (4:8-17), reviving the resulting child from death (4:18-37), purifying poisonous food for the sons of the prophets (4:38-41), multiplying loaves for the same group (4:42-44), curing Na’aman the Syrian general of leprosy (5:1-27), making an axe head float (6:1-7), striking the Syrian army with blindness (6:1-23), prophesying the remarkably abrupt end of the Syrian siege of Samaria (6:24–7:20). Elisha was recognized and honored equally in Damascus of Syria, where he goes to prophesy the death of Ben-Hadad and the accession of Hazael. In all these miracles, we recognize Elisha as a type of Jesus, even as Elijah was a type of John the Baptist. In this Sunday’s periscope (textual unit), we see this wealthy Shunemite woman who was a patron of Elisha, yet had no hope for the future, because she was childless. In ancient societies, parents (in particular, mothers) were very much dependent on their children (in particular, their sons) for economic support in their old age. There were no retirement homes, assisted living facilities, or social security policies. This was long before people would become dependent on the government for care and protection. Families still provided these goods, and so having children was very important not only for emotional and personal reasons, but economic as well. So a son for this wealthy woman was an all-important desire. Elisha, filled with the Spirit of God, blesses the woman with something that only God can give, who is the Lord of the womb: a child. In this way, God rewards this wealthy woman who risked her prestige and social standing by aiding Elisha, the renegade, politically-incorrect prophet who was often on the wrong side of the ruling establishment in Samaria, because he criticized their idolatry. God is generous, and will not forget those who aid his servants. For you have said, "My kindness is established forever;"
and the Holy One of Israel, our king. Interestingly, our First Reading is followed by Psalm 89, which is one of the most important psalms in the Psalter; arguably the theological pivot on which the structure of the Psalter rotates. More than any other passage of Scripture, Psalm 89 lays out clearly the terms and expectations of the Davidic Covenant. We see that the Davidic king was adopted as a son of God (“He shall cry to me, ‘You are my father’” v. 26), which only makes sense because a covenant is a family relationship sealed with an oath. We also see that the Davidic king was destined to rule not just over Israel but the whole world: “I shall make him the highest of the kings of the earth” v. 27. Indeed, Psalm 89 compares God’s covenant with David to his covenant with nature. As surely as God makes the sun rise and set, and the seasons follow in order, so he will be faithful to David. The psalm actually switches between praise of God in creation to praise of God for his promises to David’s house: “His throne shall endure as long as the sun before me” (v. 36). Technically, the psalmist praises God for his mercies (v. 1), but this has a special meaning. It does not mean more than one mercy, because in Hebrew the plural is sometimes used for emphasis. So “your mercies” in verse 1 really means “your great mercy.” Again, the word translated “mercy” here is really hesed in Hebrew, which more accurately means “covenant faithfulness.” So the whole emphasis of Psalm 89, at least up through verse 37, is praising God for his covenant faithfulness, both to the natural world as a whole and to David and David’s descendants. The shocking big twist, of course, comes in verse 38, where the whole story is turned upside down. Despite all the incredible assurances of faithfulness in the first 37 verses, suddenly God renounces the covenant and leaves the Davidic king in an ash heap, essentially. This almost certainly reflects what we call the Babylonian exile, when the Davidic kingdom was defeated and the king taken to Babylon (587-537 BC). The Davidic kingdom was never restored politically, but it was spiritually, of course, by Jesus. Psalm 89 is almost like two different psalms: it’s hard to reconcile vv. 1-37 with vv. 38-51. Some have suggested the beginning (vv. 1-37) comes from the time of David or Solomon, but the ending (vv. 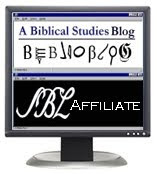 38-51) was added to the psalm after the Davidic king was taken to Babylon in 597 or 587 BC. From a Christian perspective, this psalm is important because it shows us how significant the Davidic Covenant was to ancient Israelites—it was as important as the cycles of nature! We can understand, then, why the Gospels of Matthew and Luke both begin with stories and genealogies that connect Jesus to David (Mt 1-2, Lk 1–2). The promises of God to David had been unfulfilled for at least five hundred years by the time Jesus came, and it was like a big open wound on the heart of Jewish believers: how could God have made this glorious promises to David and then not follow through? So the fact that Jesus came from David’s line and became King of the Universe was huge for Jewish believers, because it meant that God had finally kept his promises of the Davidic Covenant. It meant that the painful questions at the end of Psalm 89 (“Where is your hesed of old?”) could be answered positively. With Jesus, the Davidic Covenant was no longer a painful memory of disaster and abandonment, but of triumph! The tiny ancient Kingdom of Israel was transformed into an international, supernatural kingdom we call the Church, spread over time and space, earth and heaven, containing billions of people. Through Jesus, God kept his promises to David in a way beyond anything David could have imagined! Our Responsorial only quotes from the first part of the Psalm—the exultant part, which praises God for his faithfulness to his covenant. These words give expression to the thanksgiving in our hearts for the generosity of God, who rewards even those who assist the messengers of God’s New Covenant, which is the renewal of the Davidic Covenant. In this section of Romans, St. Paul is addressing the possible objections to his thesis that we are saved by faith in Jesus Christ, not by “works of the Law,” which means obedience to the ritual commands of the Law of Moses, like keeping kosher, practicing circumcision, etc. St. Paul has already addressed, in Romans 4-5, the objection that his thesis involves a rejection of the Old Testament message. No, Paul argued, in fact, salvation by faith in Christ can actually be seen in the Old Testament itself. Now, St. Paul moves on to address objection #2: “Your Gospel implies we can keep on sinning!” (Rom 6:1). “Heavens, No!” Paul responds, using three images: death, slavery, and marriage. Second, Paul says, we can’t live in sin any longer, because we are no longer slaves of sin, but “slaves of God”! Don’t you know that slaves have to do what their master tells them? Well, before we came to Jesus, we were all slaves of sin. But now we have gotten rid of that master, and gotten a much different and better one: God. “You have been set free from sin and become slaves of God” (6:22). This is a much better employment situation, because “the wages of sin is death, but the free gift of God is eternal life in Christ Jesus our Lord” (6:23). Thirdly, Paul says, we can’t keep sinning, because we are not “married” to sin any longer! Before we came to Christ, it was like we were married to our sinfulness, and couldn’t get away from it. But now, through Baptism, we have died to all that. Just like death ends a marriage, and allows the surviving partner to marry again, so our death in Baptism frees us to marry Christ, our bridegroom. Now we are joined to Jesus and live a “new life of the Spirit” (7:6). This teaching of St. Paul is a needed corrective to all the prelates, self-appointed reformers, and theologians down through the ages who have confused the Christian faithful by teaching them that faith in Christ is a license to continue a lifestyle of sin. These prelates, reformers, theologians, etc., fail to grasp that Jesus came to free us from sin, not just the consequences of sin. Sin is, ultimately, its own punishment, because to sin is to choose separation from God. Jesus came to save us from our addiction to choosing what is not God. Therefore, a view of Christianity in which Jesus atones for our sin in order to enable us to continue sinning, is self-contradictory. Why would Jesus die to win heaven (which is communion with God) for those who continually choose to break communion with God through sin? Rather, he died not only to atone, but also to soften our wills, so that we can choose God and not self. Our Gospel Reading continues in this same theme. Those who choose what is not God over God himself—in other words, who continue in sin—cannot be the disciples of Jesus, even when what is chosen is sometimes good in itself, like members of one’s own family. The disciple of Jesus must be ready to lose his life—only at this point does his life become truly meaningful, which is what Jesus means by “finding” one’s life. This Gospel Reading is taken from the second of five large sermons of Jesus recorded in the Gospel of Matthew. Matthew wishes to present Jesus as a New Moses, so he has “five books” of Jesus around which he structures his Gospel, just as the Bible itself begins with the “five books” of Moses. Theses sermons of Jesus are: (1) the Sermon on the Mount [5-7], (2) the Mission Sermon ; (3) the Mystery Sermon , (4) the Mercy Sermon , and (5) the Mount of Olives Sermon [24-25]. So most of Matthew 10, from which our Reading is taken, consists of Jesus coaching the apostles on how to preach the Gospel on missionary journeys. In the second half of our Gospel Reading, Jesus emphasizes that those who assist the apostles in their evangelizing mission will also be rewarded by God. 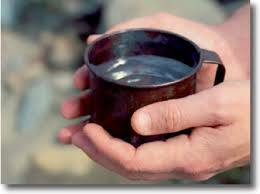 The passage about the giving of a cup of cold water is often misused to emphasize a general concern for the poor. There are many passages of Scripture that emphasize our need to serve the poor, but Matthew 10 is not one of them. This passage is not about works of mercy or charity in general, but specifically about giving assistance to those who are doing the work of Jesus, particularly preaching the Gospel. So, Jesus says: And whoever gives only a cup of cold water to one of these little ones to drink because the little one is a disciple, will surely not lose his reward. This refers to those that recognize that some humble person is a Christian, a follower of Jesus, who is doing the work of Jesus, and for that reason gives assistance to that person. The people of this world will be judged and rewarded in part based on how they reacted to and treated those who came to them, bearing the message of Jesus. In 597 BC the last direct descendant of David, Jehoiachin, was deposed by the Babylonian king Nebuchadnezzar and exiled to Babylon. He was replaced by his uncle Zedekiah, but ten years later Zedekiah, too, was taken into Exile (587 BC), and the kingdom of David was never restored until Jesus.